H. Rick Bamman - hbamman@shawmedia.com Firefighters arrive at the scene of a house fire in the 300 block of Rosedale Drive, Lakemoor. 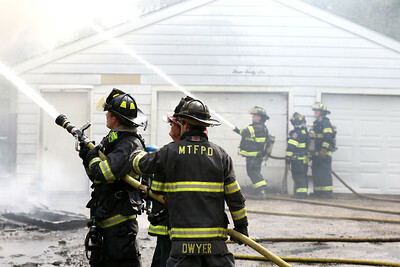 The home was destroyed. 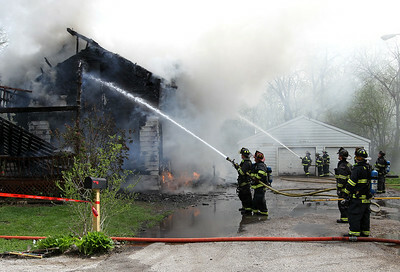 H. Rick Bamman - hbamman@shawmedia.com Flames are fueld by a natural gas line during a fire at a home in the 300 block of Rosedale Drive, in Lakemoor. 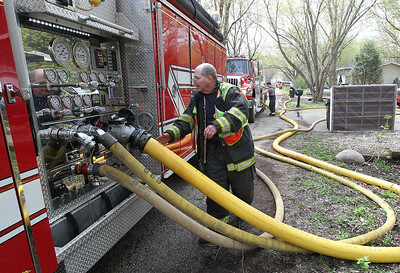 H. Rick Bamman - hbamman@shawmedia.com A fire fighter checks the flow of water during operations to contain a house fire Friday, April 21, 2017 in Lakemoor. 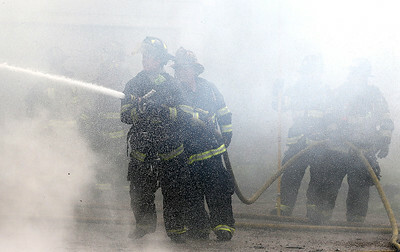 H. Rick Bamman - hbamman@shawmedia.com Fire fighters pour water onto a home in the 300 block of Rosedale Drive in Lakemoor. The home was destroyed. 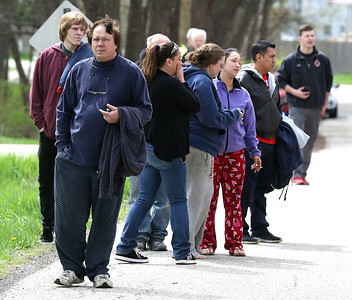 The McHenry County Housing Authority is providing temporary shelter for the family. 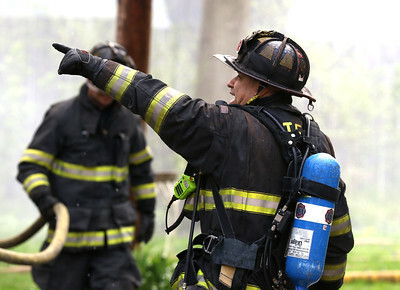 H. Rick Bamman - hbamman@shawmedia.com A firefighter points out a hot spot while battleing a fire in a Lakemoor home in the 300 block of Rosedale Drive, The home was fully engulfed in flames when crews arrived. 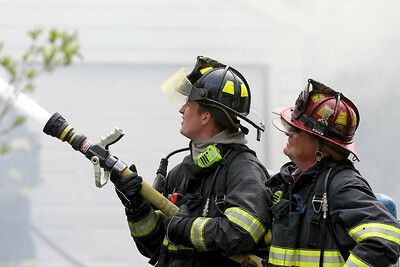 H. Rick Bamman - hbamman@shawmedia.com Firefighters stage while witing to be called for duty during a house fire in the 300 block of Rosedale Drive, Lakemoor. 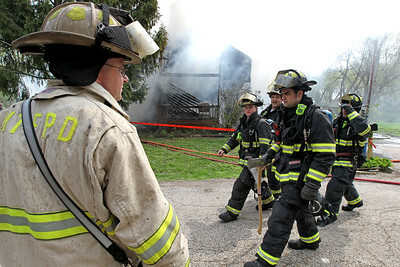 H. Rick Bamman - hbamman@shawmedia.com Firefighters work in teams to contain a fire in the 300 block of Rosedale Drive in Lakemoor on Friday, April 21, 2017. 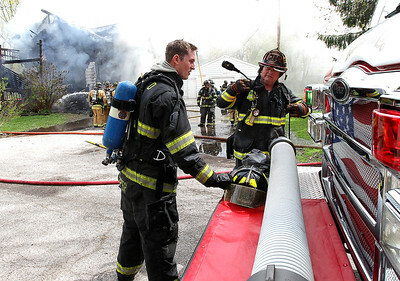 H. Rick Bamman - hbamman@shawmedia.com Firefighters work through smoke and mist to contain flames of a house fire on Friday, April 21, 2017 inthe 300 block of Rosedale Drive, Lakemoor. H. Rick Bamman - hbamman@shawmedia.com Homeowner Thomas Damiano (left) said he believes the fire may have started in the laundry room. "I woke up from the fire alarms going off, helped tell my family to immediately get out and had to jump off of our balcony to escape," Damiano said. 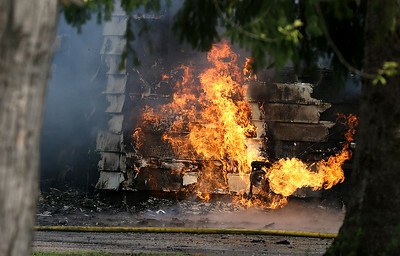 The home at 336 N. Rosedale Drive was fully engulfed in flames when crews arrived. 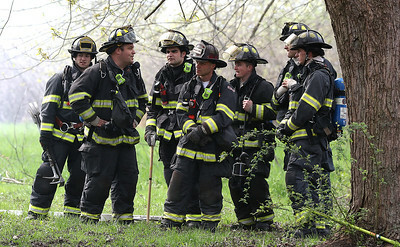 H. Rick Bamman - hbamman@shawmedia.com Fire fighters take a break after battleing flames at a Lakemoor home Friday morning. 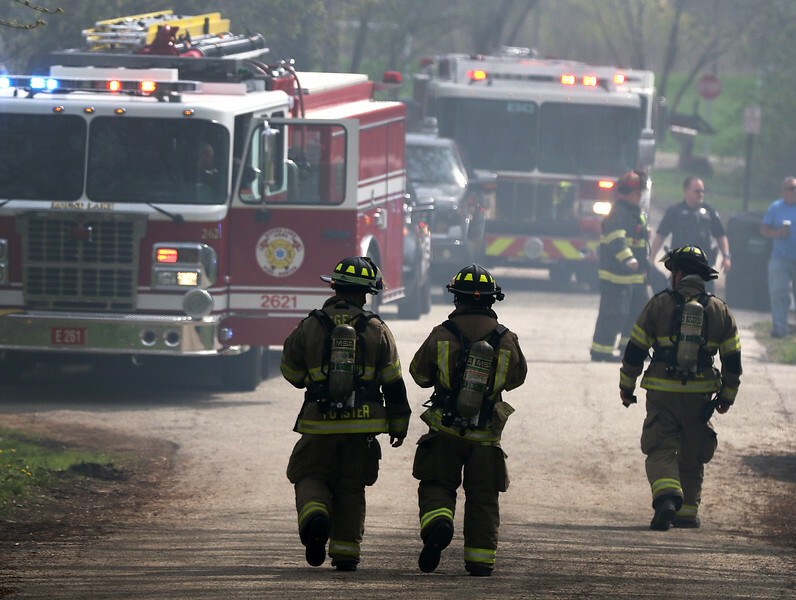 Firefighters arrive at the scene of a house fire in the 300 block of Rosedale Drive, Lakemoor. The home was destroyed.